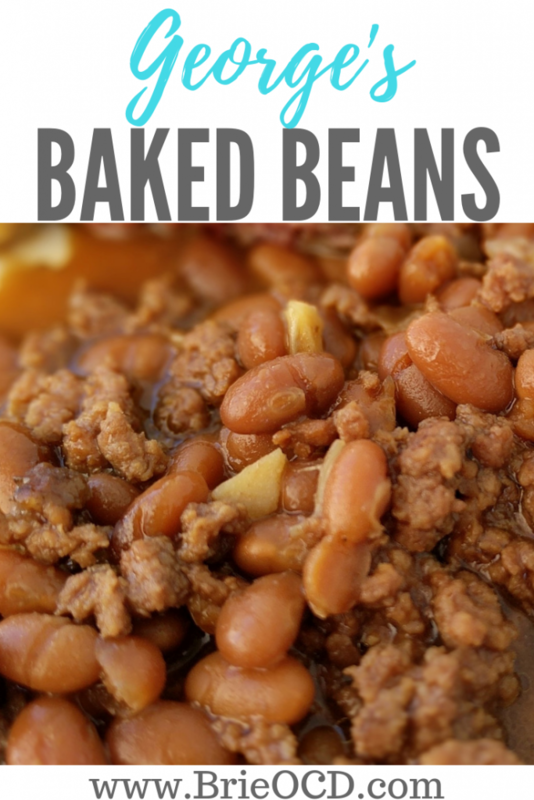 George’s baked beans are EASY, delicious and the perfect game day side! My friend that hates beans actually liked them. Now that says a lot!! Growing up I hated beans. Never would I have imagined that I would eat baked beans. I mean they are brown and not the most appealing thing to look at. (see photo LOL) However, one year my dad made these and I fell in love. I recently called him up and told him to cough up the recipe. This recipe yields about 16 servings. Per serving there are 216 calories, 30g carbs, 6.5g fat and 12g protein. Beans have carbs. However getting your carbs from beans is better than getting them from chips. End of story. You simply brown the onions and meat and dump them into the crock-pot with the rest of the ingredients and voila! You have yourself a great low maintenance side! These beans are sweet and savory and are sure to please. They are even kid approved! 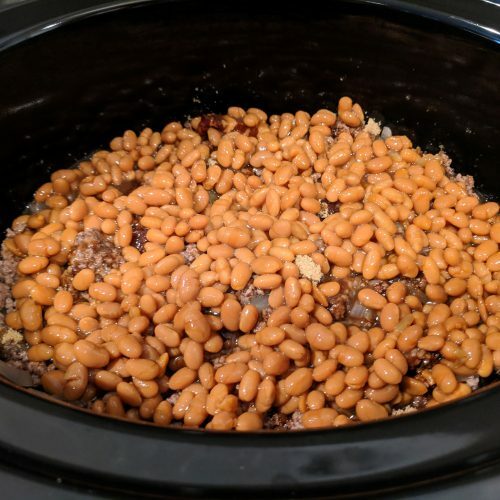 These beans are the perfect game day side because they don’t need supervision and the crock-pot will keep them warm until you are ready to dig in. They go with anything you throw on the grill, all the summertime classics and hell anything in general! heat medium saute pan over medium high heat and spray with cooking spray. 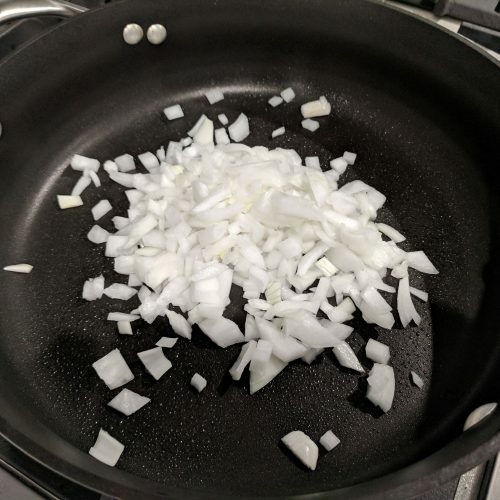 add diced onions and saute for approximately 1 minute. 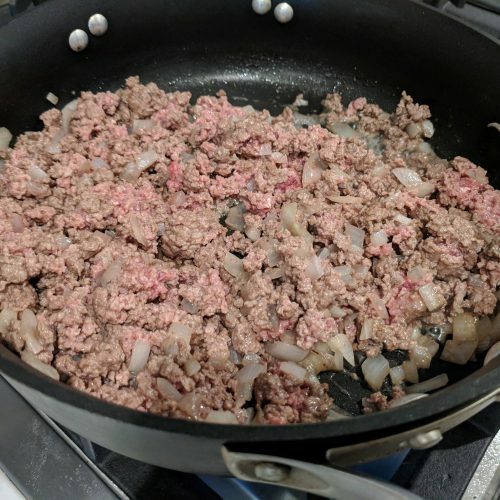 add ground beef and saute for approximately 3 minutes, stirring constantly and breaking up beef. meat will still be slightly pink in some areas. drain juice and set aside. 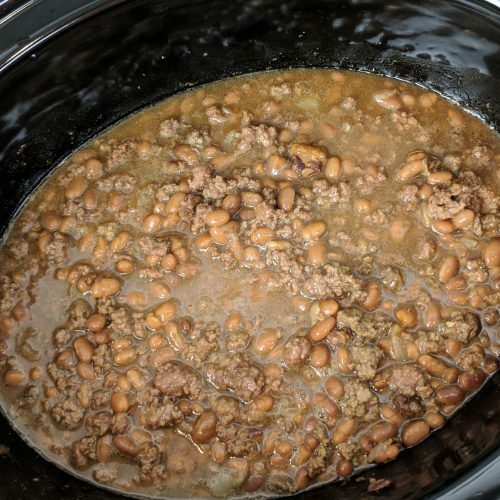 start layering ingredients in crockpot. 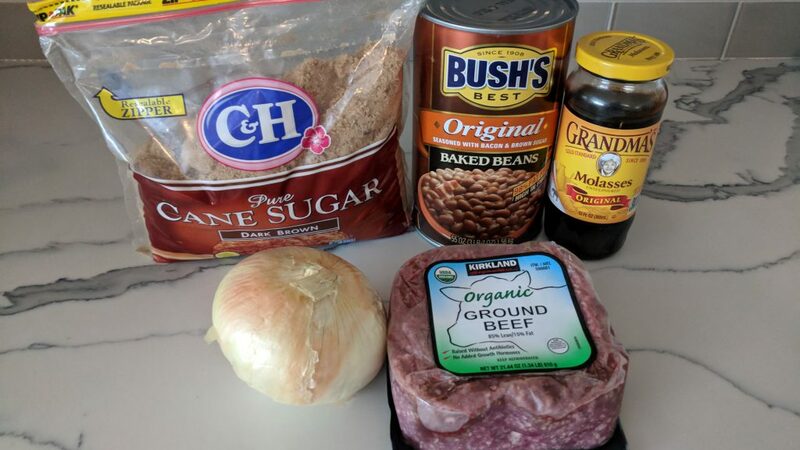 start with half can beans, all of ground beef, all of brown sugar, all of molasses and finish with the rest of the beans. 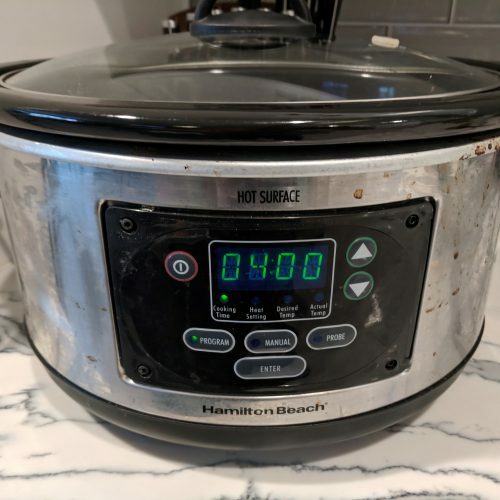 set crockpot on low for 4 hours to let the flavors meld. Enjoy!